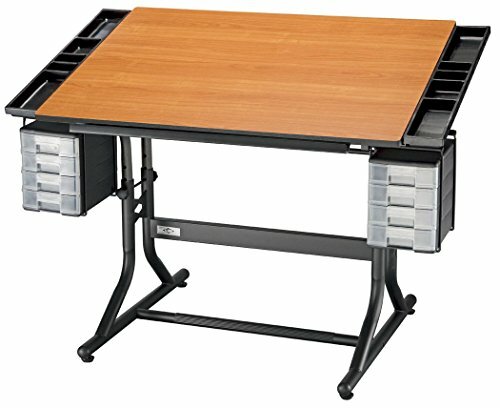 An enlarged version of the successful original CraftMaster, the CraftMaster II has a bigger top, more storage, and more leg room. 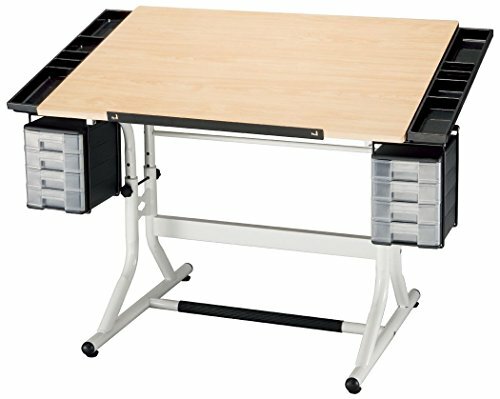 The attractive 28 inches x 40 inches tabletop combines with left and right storage trays to create an overall 28 inches x 48 inches work surface. 65 pounds. 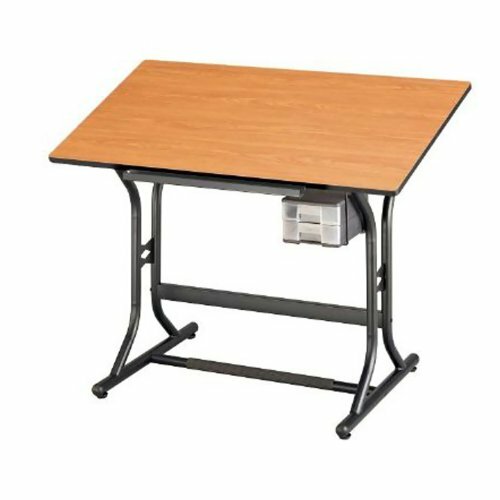 28 inches x 40 inches tabletop with rounded corners. Left and right storage trays are each 4 inches wide, have an assortment of compartment sizes and include removable covers. 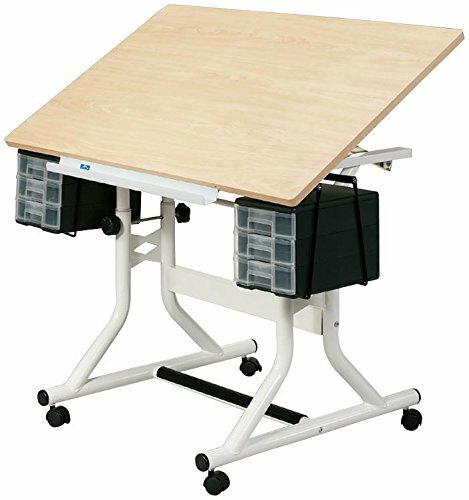 One hand tilt mechanism adjusts tabletop from horizontal (0) to 30. 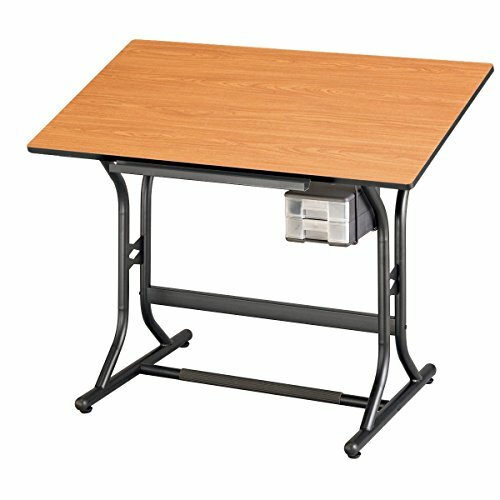 Height adjusts 28 inches to 32 inches in the horizontal position using casters or 26 inches to 30 inches using floor glides, both sets included. Two sets of 4-drawer storage units, each 7 inches w x 9 inches h x 10 inches d. Metal pencil ledge and plastic instrument tray, both included. Sturdy tubular steel construction, 1 1/2 inches diameter with powder-coated finish. Footrest crossbar with rubber tread and 29 inches of leg room. Tabletop and base packed securely in one UPS-able carton. 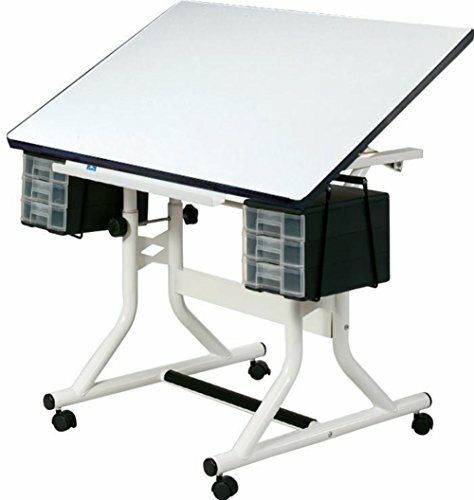 CM30-3-WBR Features: -Metal pencil ledge and plastic instrument tray both included. -Cherry woodgrain top with rounded corners. -One-hand tilt mechanism adjusts tabletop from 0 to 30. -Two supply storage drawers. -Footrest crossbar with rubber tread. -Sturdy tubular steel construction. Style: -Traditional. Top Finish: -Cherry. Base Material: -Metal. Top Material: -Wood. Dimensions: Overall Width - Side to Side: -40". Overall Depth - Front to Back: -24". Overall Product Weight: -45 lbs. 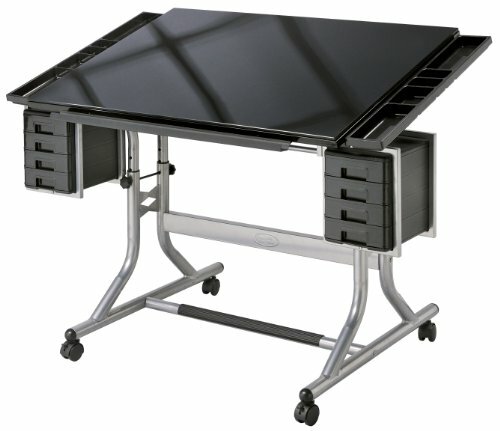 Do You Need a Drawing Table?